In an industry where there is little barrier to entry and a lot of money to be potentially made, homeowners should take extra precaution when selecting a home improvement company to do work on their home. Any individual can create a company to make themselves seem legitimate, get a business card with a makeshift logo, and begin marketing their services as a general contractor, especially with the popularity of free internet advertising sites like Craigslist. But bad contractor experiences are not limited to freelance contractors either. This is the first and most important item that a contractor is required to have to operate a business – a Contractor’s license issued by the state. In Virginia, for example, the state agency is the Virginia Department of Occupational Regulation. Contractors must pass a standardized exam, have verified field experience, and be subject to the state agency in case any recourse is due to the homeowners if the agency finds the contractor culpable for wrongdoing. Homeowners may choose a contractor without a license typically because they offer lower bids, but it is risky business to do so. General Liability and Workers Compensation insurance are also a standard requirement for contractors, shielding you from liability caused by potential accidents or injuries occurring at your home. Unlike most industries, home contracting is especially infamous for fly-by-the-night businesses run by independent contractors who may not feel as liable for their work because they don’t have an established office and can work from project to project. Even if they are dedicated to their work, smaller outfits that aren’t established may not be financially sustainable if projects go awry and can easily go out of business when they do, leaving the homeowners to foot the costs. Simply having a local business address with a local phone number where you can come and drop off a check is important for accountability in case if you have to come knocking on the door to get answers. It also indicates they are established enough to have adequate administrative support and customer service, which is often not that common in the industry. On the other hand, when doing an addition or sizable project, look for local publications that rate local service companies (i.e. 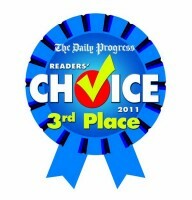 Daily Progress Readers Choice Awards), which speaks to how established they are locally and to their long-term commitment to customer satisfaction in their community. Requesting for an extensive list of references is generally understood by most homeowners as a basic requirement when seeking estimates from contractors. But it’s important that it’s extensive and not just a handful of projects. Even a reputable freelance contractor should be able to come up with more than a handful, let alone an established company. 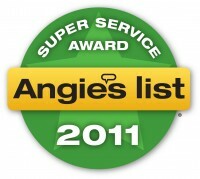 Secondly, look for third party references that allow customers to post their experience with the contractor and even rate them, such as Angie’s List. Another well known entity is the Better Business Bureau, where you can see any complaints made against the company and which provides a rating accordingly. Needless to say, the better the rating, the less risk is involved in hiring them. A company that is in it for the long-term cares about the quality of their craftsmanship and will warranty it to prove it. Most warranties for projects like exterior painting or building a deck are typically 2 years. However, don’t expect a warranty on a roof leak or repair projects that are typically less expensive alternatives to much-needed replacements. A good contractor will give you alternatives but also recommend long-term solutions if and when it’s needed. And because remodeling requires customized solutions to complex problems or projects, it’s in the homeowners best interest to have the same contractor fix or modify the project they did the first time. A company that is committed to excellence and the highest standards of practice will also join industry associations and become certified. Within the remodeling industry there is NARI, the National Association of the Remodeling Industry, whose focus is on professional conduct, continuing education and training, and fair and ethical treatment within the industry. Within the home building industry there is NAHB, the National Association of Home Builders. 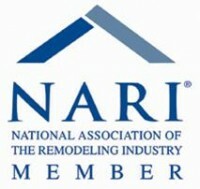 To hire someone with NARI’s Certified Remodeler designation means you’re choosing a dedicated remodeling professional who has passed through a rigorous screening and testing process. When it comes to remodeling your home, which is generally one of your biggest investments, this substantially lowers your risk of having a bad contractor experience and ensures your project is in the safest hands possible.